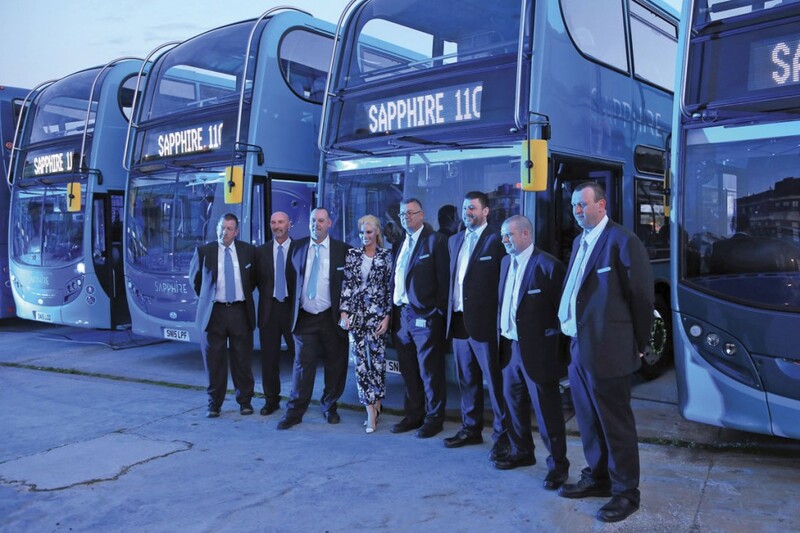 Arriva Yorkshire and North East has become known for its imaginative launches of new initiatives including Sapphire and Max routes, so there were great expectations for the launch of Yorkshire’s first Sapphire route. Held at The Tetley Arts Centre in Leeds, the event didn’t disappoint with celebrity guest, Chloe Sims, from TV’s TOWIE, entertainment from the world’s only mirror ball violinist and, as dusk fell, a spectacular firework display behind the new vehicles. Communication through social media ensured there was a large turnout of existing and potential customers to witness the evening’s events. Nigel added that services chosen for the significant investment to bring them up to Sapphire standard have the potential for growth, particularly through modal shift, to deliver the extra revenue needed to cover the cost. Fireworks at The Tetley was not the final conclusion of the launch, the vehicles subsequently running in convoy to and around Wakefield before being prepared with ‘goody bags’ for the first passengers when they entered regular service the following morning. For the 110, Arriva Yorkshire has invested over £3m in 17 new lowheight ADL Enviro 400 Euro5 double-deckers to full Sapphire specification. 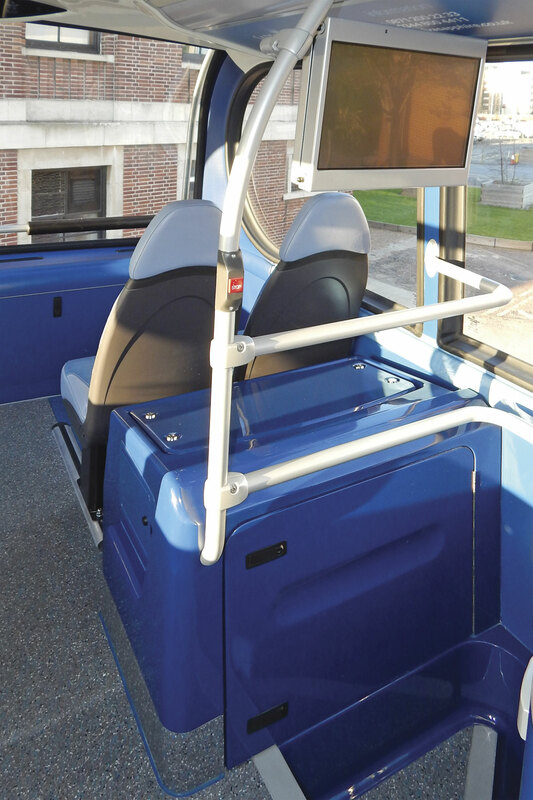 The 72 (plus three tip ups in the buggy area and a wheelchair position) seat vehicles feature E-leather trimmed seats, Wi-Fi, 240v and USB charging points, a full internal/external camera system and audio-visual on board announcements. For the first time on Sapphire specification vehicles, extra sparkle is provided by polished trims fitted to all wheels. The internal decoration includes staircase motifs depicting a range of scenes along the route of the 110. The modern vehicles displaced from the 110 by the Sapphire upgrade will be cascaded to services 126/7 linking Wakefield with Dewsbury at the core of Arriva Yorkshire’s operation. With the recent launch of Sapphire and MAX routes together with the upgrade of existing vehicles, Nigel Featham reported that Wi-Fi was now available on around 45% of Arriva Yorkshire vehicles. Arriva Yorkshire’s service 110 links Hall Green and Kettlethorpe, south of Wakefield, with Leeds city centre, offering a ten minute frequency during Monday to Saturday daytimes from Leeds through Wakefield to Kettlethorpe. Alternate daytime buses continue to Hall Green. On the core section, there is a 30 minute frequency in the evenings and a 20 minute frequency on Sundays. The first journey departs from Wakefield before 0500 with the last one arriving back around midnight. Service 110 serves a well established route along the A61. The core portion between Leeds and Sandal can trace its origins to the linking of the Victorian/Edwardian tramway networks in Leeds and Wakefield where through passengers initially had to change at the Leeds boundary. Through running commenced in 1905 with the route being converted to bus operation in 1932. Even at that time, the buses on the route, operated by the West Riding Automobile Company, were differentiated by carrying a red livery when the rest of the fleet was green, a practice continued until the company was voluntarily nationalised in the 1960s. Responsible for the 110 is Arriva’s Wakefield depot where Kim Purcell has recently been appointed Depot Manager bringing with her a wide range of experience including a spell with the Maltese operation. Kim advised that 72 drivers had undertaken the additional Sapphire training programme. They have been issued with the dedicated Sapphire uniforms including jackets, a move which has increased their pride in the job and generated positive feedback. 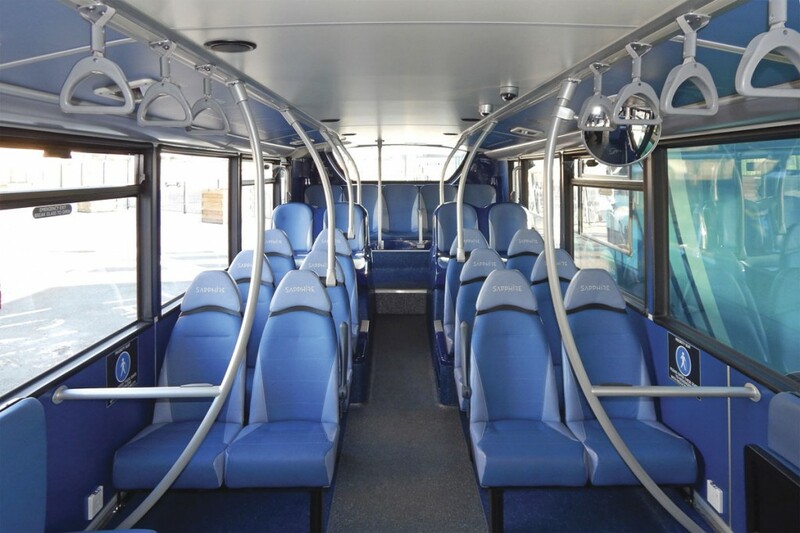 The 110 has a PVR of 15 and forms part of the depot’s total PVR of 94, manned by 300 drivers. Available on the 110 and being strongly promoted on local radio in the area, Arriva have launched the second generation of their mobile ticket application. Whilst the first generation did away with the need to have cash available, it required web access to show a valid ticket, something that was not always available in certain locations. The second generation has no need for web access when displaying a ticket (although web access is needed to buy it). It integrates seamlessly with the Arriva travel app and website making for easier navigation and features one-click ticket retrieval for easy display to the driver. Tickets are validated from the date of first use, not purchase, so if plans change the ticket is not wasted. As an introduction to the new M-Ticket App, Arriva have been offering 10% off in April. Developments in Arriva’s Yorkshire operations have not been confined to the launch of Sapphire and Max services. 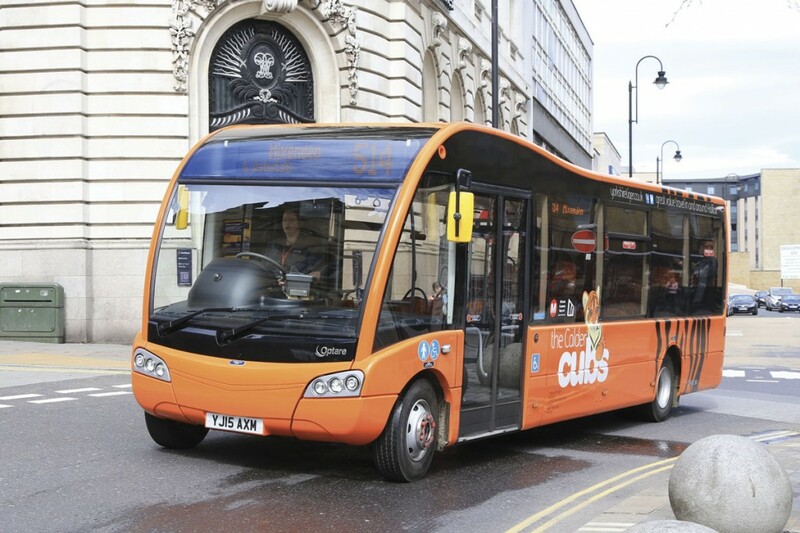 The Yorkshire Tiger operation has seen continued growth and is currently in the process of re-branding its rural services from Halifax as CalderCubs using a variation on the orange and black colour scheme. Existing five year old Optare Solos which launched the routes in Centrebus days are being refreshed in the CalderCubs scheme complete with a route diagram on the rear and the addition of Wi-Fi. 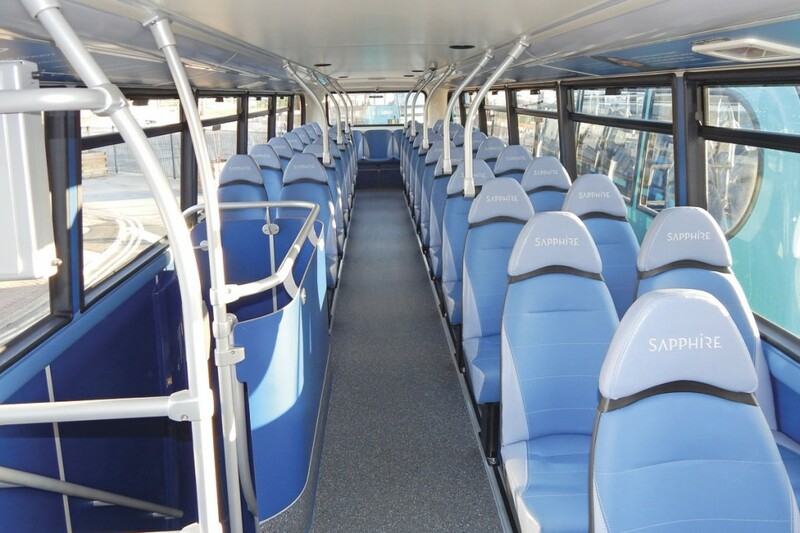 They are being joined by a number of similarly specified new Optare Solo SRs, continuing Yorkshire Tiger’s relationship with the locally based manufacturer.